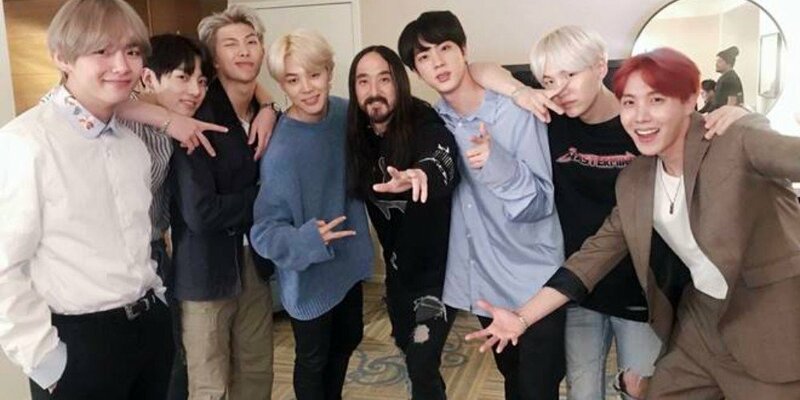 Steve Aoki�had nothing but love and praises for BTS. First, Steve Aoki praised the K-pop group, stating, "We live in America. We live in the United States where the primary language is English. There's never been a K-pop artist that has crossed over and have been requested and had sold out stadiums across the United States - when their language is not English. This is one of those phenomena that doesn't happen all that often. It's an incredible thing to see and to be part of and watch. And I'm so honored to be able to work with these guys. They're amazing guys." Yaas uncle Steve! I love their relationship. I like how the 3 collabs they've done together so far are very different - Mic Drop Remix, the beautiful The Truth Untold, and now this new EDM track sung in English! Here's to a wonderful friendship and more great music for us to enjoy.